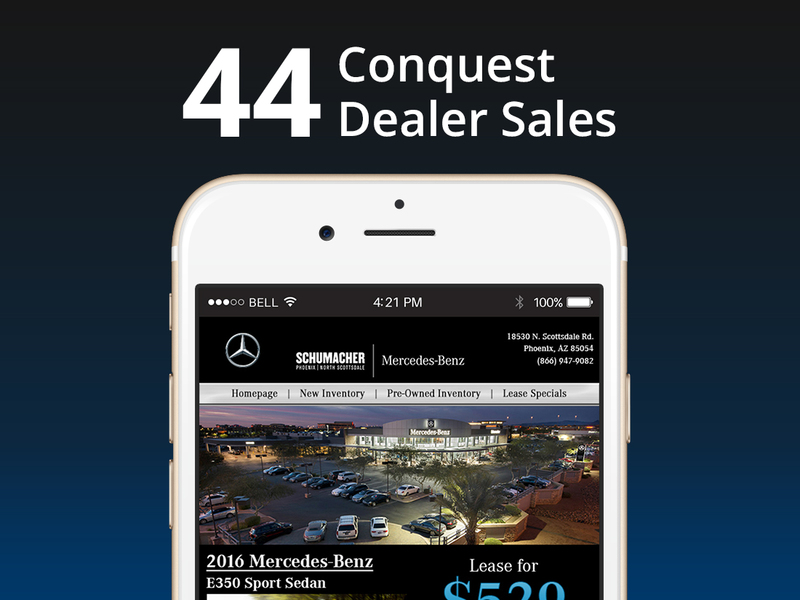 Discover how Conquest Automotive drives "In-Market" buyers to your website, and ultimately to your showroom floor. 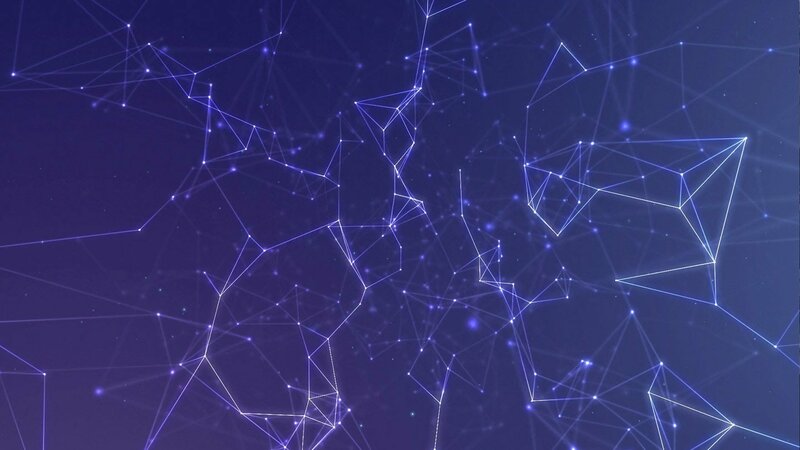 Conquest Advertising Campaigns include transparent tracking from Google Analytics as well as campaign evaluation reports and sale confirmations from R.L. Polk. 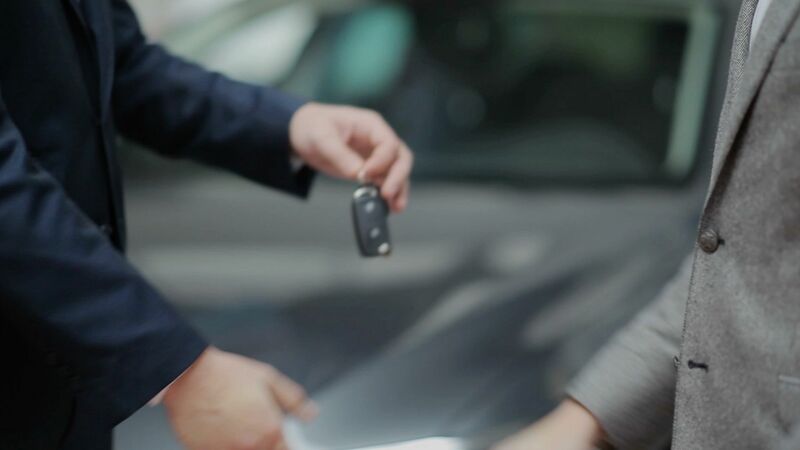 Our experience with automotive advertising gives us the unique advantage to connect with and recognize local consumers. We have been analyzing the online behaviors of our database for the past 13 years. Using this intelligence and integration with the R.L Polk® Purchase Predictor, we know when, where and how to target these buyers. 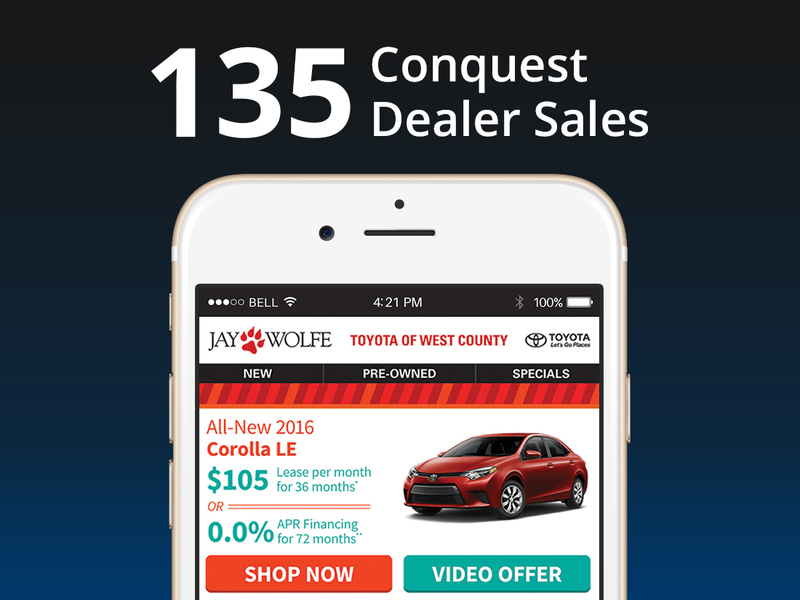 Our digital package is tailored to suit your dealership’s inventory, offers, and brand! Every month our highly trained Campaign Analysts review your Google Analytics and overall campaign performance. True ROI is confirmed by R.L. Polk® Campaign Evaluation Reports, which provide an empirical measurement of campaign performance. Our Digitally Responsive Database of 125 million opt-in users can be suppressed of the dealer DMS/CRM data to guarantee accurate results. 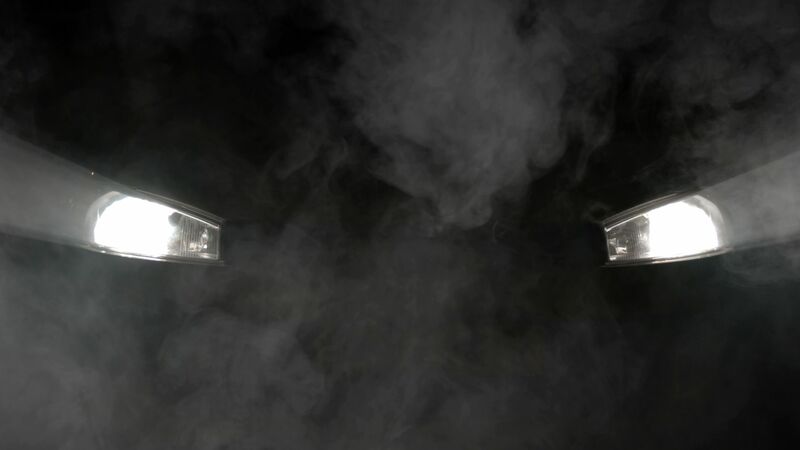 Our industry leading technology was built for one primary purpose: to deliver automotive advertisements to the right consumers at exactly the right time. We build custom artwork for every dealership! We are compliant with all OEMs’ marketing guidelines and regulations. Comprised of a host of reactive digital marketing strategies developed to dynamically surround the R.L. Polk® identified “In-Market” buyers during their buying process. 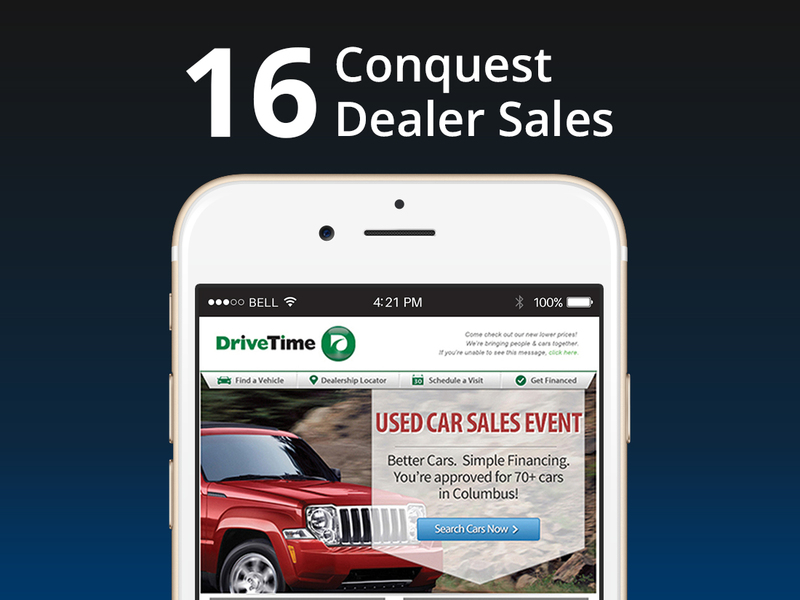 Conquest Automotive has been analyzing the online behaviors of our database for the past 13 years. Using this intelligence we know where, when and how to target these buyers. 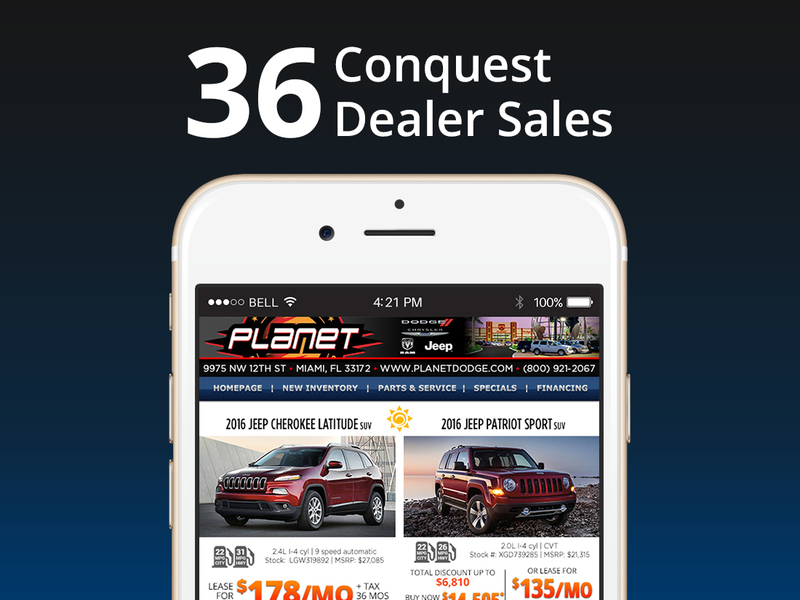 This reactive marketing strategy developed by Conquest Automotive has proven to significantly enhance the consumer’s engagement, frequency and quality of traffic spent on the dealerships website.